The statue of former U.S. President William McKinley sits in the Arcata Plaza. Its fate now lies in the hands of the Arcata voters. KHSU audio of Arcata's decision to put McKinley to a citizen vote on Wednesday July 11, 2018. The Arcata City Council, minus Mayor Sofia Pereira, voted 4-0 to put the issue of the Mckinley statue on this year's November ballot. Their vote reverses an earlier decision to remove the statue, which was made in February this year. The statue stands in the center of town and has divided many community members--some who see McKinley as a symbol for racist imperialism and others who see him as an American hero. Those mostly in favor of keeping the statue, led efforts to gather enough signatures to put the decision up to a citizen vote in the upcoming election. Council member Susan Ornelas said that although the council had previously decided on a majority vote to start the removal process, that they should honor the petition from more than 1,400 Arcata voters. "While it is frustrating for people who had a decision, it is really all part of democracy," Ornelas said. "We were exercising our rights of a democracy to make a choice. We did that. Citizens were exercising their rights of democracy to have that petition signed, so this is the legality of the situation." Like the public, not all of the councilmembers agreed on the fate of the statue. Council member Paul Pitino previously showed support for the statue's removal, while Council member Michael Winkler advocated to keep the statue in the Arcata Plaza. Ultimately what they did agree on was to let the voters decide. The Arcata City Councilmembers discused reversing their earlier decision to remove the statue. Mayor Sofia Pereira was absent at Wednesday's meeting. Nathaniel McGuigan, co-chair of MEChA at Humboldt State University and advocate for McKinley’s removal, doesn’t agree with putting the issue on the November ballot, but he said he is hopeful for a favorable turnout. “But in the end, the right side will win. The people who are pro-removal of the statue will win,” McGuigan said. The statue itself, according to the Arcata City Council, could cost close to $65,000 to remove and the process would still need to go through the California Environmental Quality Act. Arcata mother of four, Claudia Portillo was granted release on a $12,000 bond after spending seven months in an immigration detention in the Bay Area. 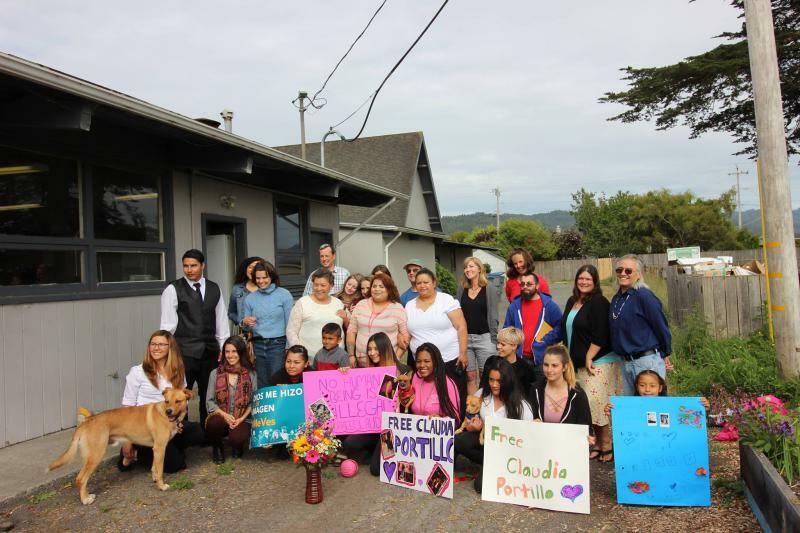 According to True North Organizing Network, communities in both Humboldt and Del Norte Counties advocated for Portillo's release and are arranging to pay the bond. 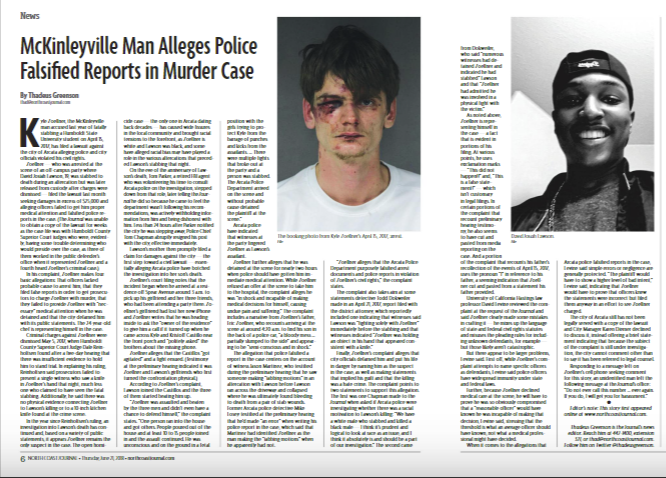 More than a year after the murder of Humboldt State University student David Josiah Lawson, a man--Kyle Zoellner--accused but ultimately not charged with the crime, has filed a lawsuit against the city of Arcata. Zoellner alleges that police and city officials violated his civil rights.